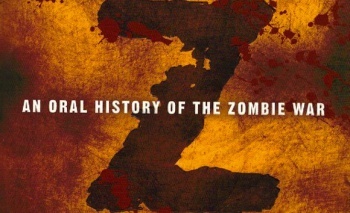 Max Brooks' zombie apocalypse novel could be getting a game adaptation. If there's one thing that's obvious about the videogame industry, it's that there simply are not enough zombie-related titles on the market. Paramount Pictures may be looking to give gamers a rare glimpse of the zombie apocalypse, as the film production company has filed a trademark for a videogame adaptation of World War Z. The trademark was filed in the United States with the classification "downloadable electronic game program, electronic game software, and videogame cartridges/discs." Since Paramount is also the distributor of the upcoming World War Z film, it could be assumed that this potential game would be a movie tie-in, not a direct adaptation of Max Brooks' zombie apocalypse novel. The book was pretty light on action, so it would be hard to guess what genre the game would fall into, unless "oral history simulator" sees a sudden rise in popularity. Since the World War Z movie has been full of delays, rewrites, and re-shoots, we're probably not going to see a game version in the immediate future. That's not necessarily a bad thing; on paper, a game adaptation of a movie adaptation of an oral history about zombies doesn't exactly sound promising. If this trademark develops into a real game, we'll likely hear more about it early next year, since the film is slated for a June 2013 release.